For over 10 years, our work has been online, offering a private, inexpensive alternative to marriage counseling. 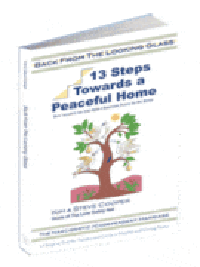 This began with the release of Back From the Looking Glass – 13 Steps to a Peaceful Home (our easy to read reference book, now in its 11th edition) still our go-to-guide to improve your marriage even without your partner’s support and cooperation. These days we have a lot more advice and resources to offer, including our free intro tutorial (recently updated) you can sign up for below. Don’t risk it all in a marriage counseling title match, let us help you find stability and balance in your home . 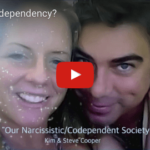 . .
Are Narcissism & Codependency Destroying Your Marriage? When something goes wrong: even when you caused it, you immediately think of someone—or something—else you can blame. When someone is critical of you: you justify yourself by pointing out other people who behave the same or worse. You feel pressure to earn fame and/or recognition. You are sometimes shocked at what life expects of you and consider yourself a victim. Despite the name calling and sheer volume of misinformation on line, narcissism is a very common way of thinking and behaving. Narcissism is often encouraged by society, including movies, our friends and TV. Advertising is one of the worst culprits*. Not only in the ads we watch, its messages are now included in the story lines of most movies and shows on TV. Without knowing it, advertising and marketing now influence almost every area of our lives. In its most simple description, narcissism is about being self-centered, which is something we obviously need to look at if we expect our marriage will ever improve. Narcissism, however, is not about loving ourselves. Unhealthy narcissism is, instead, about loving a fantasy idea of ourselves. A fantasy that won’t allow us to accept our mistakes and grow as a real person. Hanging onto this fantasy will not allow us to be loved for who we really are. Do you crave love and admiration, even from strangers? Are you trying to fill an empty well? 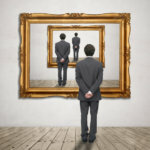 Narcissism is easy to spot in other people but much harder to spot in ourselves. *A constant focus on cheap prices in advertising is just one example. The message we receive is to think only of ourselves, not about paying a fair price for what we buy that would allow a better quality of life for everyone involved in the exchange. That kind of honesty in selling might make us realize that we don’t really need what we were are being offered, maybe it’s just time we went home! When something goes wrong: no matter who caused the problem, you immediately feel guilty and blame yourself. When someone is critical of you: you become emotional and cannot relax until the critical person is happy with you again. You feel expected to keep everyone happy & keep the peace. You give your best to your marriage but your best is never enough. Codependency describes a person who spends a large part of their life trying to keep other people happy. This is not entirely unselfish, however, as they do this hoping to get their own emotional needs met in return. This pattern of behaviour is just as common as narcissism and likewise can seriously damage your marriage. Codependency is often encouraged by society, including music, soap-operas, romance novels, movies, and TV. Advertising is one of the worst culprits*. Not only in the ads we watch, its messages are now included in the story lines of most movies and shows on TV. Without knowing it, advertising and marketing now influence almost every area of our lives. 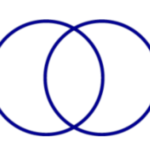 A codependent’s thoughts and plans are centered on their partner. Codependence however is not about genuine love and concern about this person because subconsciously we are working to create an emotional debt. The truth is, insecurity and fear are things we need to learn to deal with ourselves. To create a happy marriage, we must be centered on our own needs as well as the needs of the people around us. 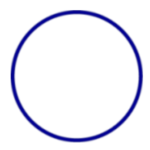 Being other-centered can be just as hard to live with as being self-centered. *How many things have you purchased recently hoping to gain more love from your family? When you are ready to end the chaos and build a more secure emotional foundation in your home, simply choose one of the buttons above. Do you live with someone who puts you down and insults you? 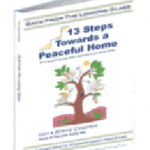 If so we want to help bring peace and security to your home. Read More . . . The games narcissistic personality types play can be tiring. Giving up the game allows for new paths. Read More . . .
Each new admirer becomes ‘the one’ special person whose attention you crave, but like a mirage, in a short time the illusion fades. Read More . . . Does your partner always want to talk about your relationship when you would rather be doing something else? Check for signs of codependency in your marriage. Read More . . .
Signs of Codependency in yourself in your marriage Read More . . .
A marriage partner not wanting to talk is the most common complaint I hear. Read More . . .
What Codependence is and what it is not. Read More . 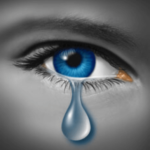 . .
Narcissism & Codependency are learned family roles; they represent opposing views on life that will cause conflict, chaos and disappointment, eventually destroying love & companionship. * Please note that most people have a mixture of narcissistic and codependent tendencies. Many men for instance will play the narcissistic role at home while acting codependently at work. Our aim here is to help you identify the patterns, not diagnose yourself or someone else. You should also note that in most cases our team have found these labels to be stereotypes which do not represent the real person. Despite the pain and suffering these mindsets undoubtedly cause; our experience has shown them to be learned behaviour and NOT incurable psychiatric conditions. Couples can certainly outgrow narcissism and codependence as our story and work both demonstrate.